The Trump administration is allowing national park officials to tap into their revenues to provide basic services. Some national parks were reportedly overwhelmed with trash, human waste and vandalism. The government shutdown meant parks were manned by skeleton crews. Now, more services can be restarted. The Trump administration is tapping into recreation fees charged to provide basic services at national parks while the federal government remains shut down. Trump officials wanted to keep national parks accessible during the ongoing government shutdown, in sharp contrast to the 2013 shutdown, but came under fire amid a slew of reports that parks were being trashed. Now, national parks officials are allowed to tap into revenues to stay open and provide basic services. “Approximately 80 parks have used revenue generated under the Federal Lands Recreation Enhancement Act to address maintenance and sanitation issues that have arisen since the start of the lapse of appropriations,” a National Park Service spokesman told The Daily Caller News Foundation in an email. When the government shutdown began in December, the Interior Department kept many national parks accessible to the public, though with a skeleton crew of staff. Maintenance, cleaning, concessions and a whole host of other services were suspended. Probably the most widely reported acts of vandalism were illegal campsites and downed trees at Joshua Tree National Park. People went off-road, causing tire-ruts and new roads in an otherwise pristine landscape, according to reports. 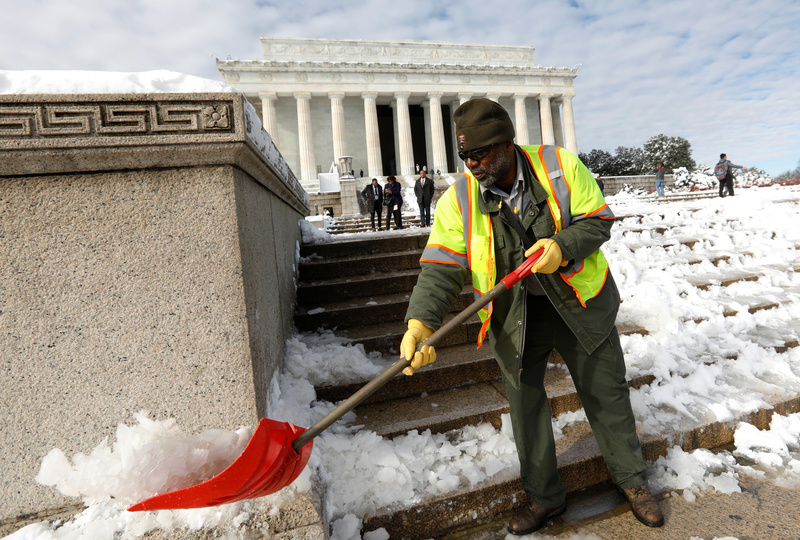 Furloughed National Park Service employee cleans the steps of the Lincoln Memorial on day 24 of the government shutdown, in Washington U.S., January 14, 2019. REUTERS/Kevin Lamarque. “Right now, there’s damage being done to the national parks because we don’t have the capacity or the staffing to protect the land and protect visitors,” Democratic Arizona Rep. Raul Grijalva, chair of House Committee on Natural Resources, told reporters. However, four days before Grijalva’s remarks, acting Interior Secretary David Bernhardt ordered NPS to change its shutdown contingency plan to tap into recreation fees collected under the Federal Lands Recreation Enhancement Act (FLREA). Bernhardt said he’d consider moving around other funds to bring services back to parks that don’t collect FLREA fees or that don’t have any available. “In the coming days the NPS will begin to use these funds to clean up trash that has built up at numerous parks, clean and maintain restrooms, bring additional law enforcement rangers into parks to patrol accessible areas, and to restore accessibility to areas that would typically be accessible this time of year,” NPS Deputy Director P. Daniel Smith said in a Jan. 6 statement. 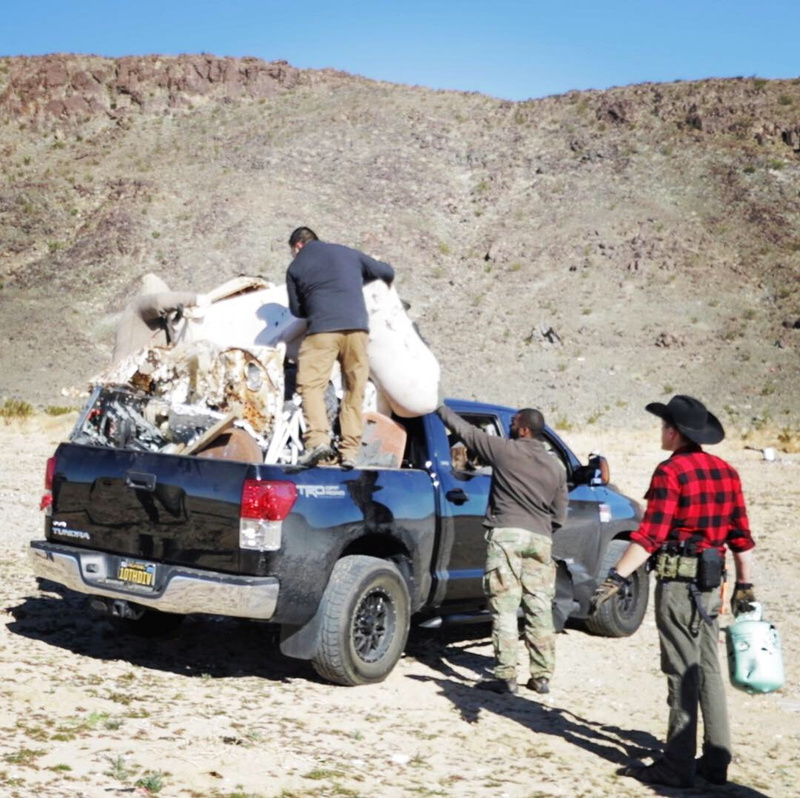 Staff load trash onto a truck near Joshua Tree National Park in California, January 6, 2019, in this picture obtained from social media. @lost.sasquatch/via REUTERS. Yellowstone, D.C.-area parks, Bryce Canyon and Hawaii Volcanoes are among the parks using recreation fees to provide basic visitor services. Even Joshua Tree was able to avert a temporary closure through the use of recreation fees, according to NPS. “We are happy to see our park clean and with excited visitors already enjoying their national parks,” said Christy Brigham, the acting superintendent of Sequoia and Kings Canyon National Parks, according to ABC 30 News. There is a downside to siphoning off recreation fees — it exacerbates the existing $11.6 billion deferred maintenance backlog. Former NPS Director Jonathan Jarvis, who served under the Obama administration, said using recreation fees to maintain parks was possibly illegal. However, NPS disagrees with Jarvis’s contention. “Since [the Federal Lands Recreation Enhancement Act’s] original passage, it’s always been interpreted by the Park Service as not available for operations,” Jarvis said, The Hill reported.